R.S. 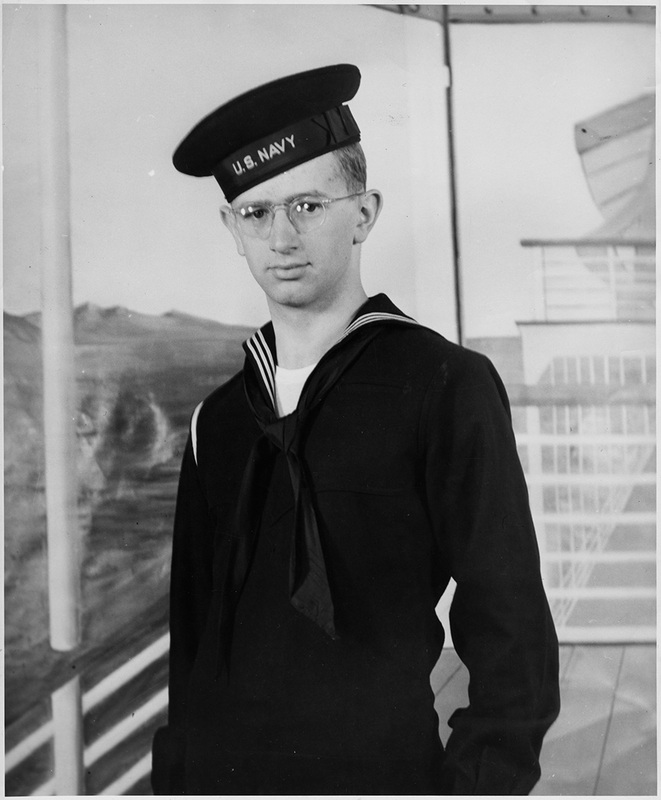 Mendelsohn as a young man, in a U.S. Navy uniform. A photographic backdrop resembling the deck of a ship at sea is visible behind him.